Discreet, persistent surveillance performed by investigators who know precisely what to look for and which evidence to gather. Rapid location of the information you require through targeted searches of selected public records resources. The totality of the facts for your case, strengthening your burden of proof, and eliminating the “stone unturned” doubts to your case. Comprehensive asset investigations to determine which assets an individual or business possesses. In-depth examinations of the subject’s background to verify employment qualifications, check criminal backgrounds, investigate potential spouses and more. In depth exploration into social media presence, even into lesser known social media profiles such as Plenty of Fish and Kik. Location of missing or hard-to-find persons using online searches, surveillance or any other methods the case requires. Domestic Cases, Family Law, Estate Issues, Fraud, etc. Whatever your case is we have the integrity, discretion you are looking for, and peace of mind your case is being handled correctly. Please contact us for detail, legalities, and operating rules. 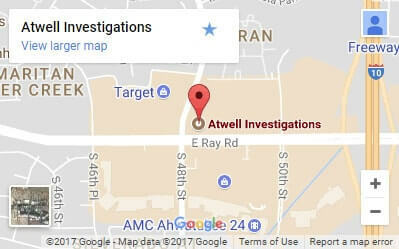 Built on hard work, integrity, and word of mouth, Atwell Investigations was founded by owner/investigator Jax Atwell. Jax is a professional investigator with experience. He spent twelve years serving in law enforcement in the states of California and Arizona, and has spent the last decade as a licensed private investigator in Arizona and Montana.Atwell Investigations is licensed to investigate cases in Arizona, Montana and Idaho. Our investigators are not only highly trained with broad investigative backgrounds but fit may unique specialties as well. Our mailing address is in Phoenix that doesn’t restrict us to just Arizona. If you enlist our help, Atwell Investigations will come to you, operating from our mobile offices—Okay, they’re vans. But really cool vans that are outfitted with all the necessary tech and tools to help us along the way. Contact Atwell Investigations today to see what Jax and the rest of our investigative team can do for you.